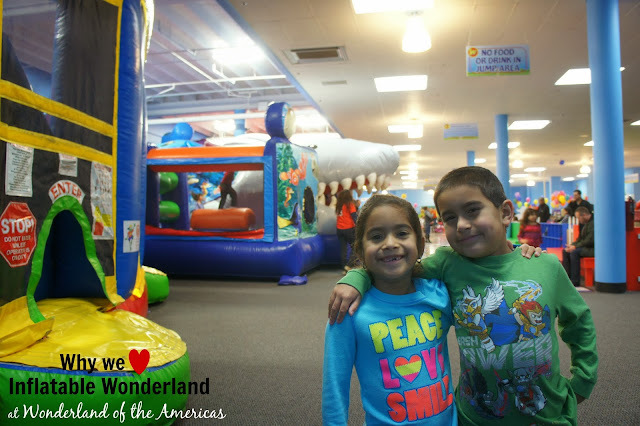 Inflatable Wonderland is an amazing addition to Wonderland of the Americas and perfect option for family fun inside Loop 410! We were able to visit during their Grand Opening week and I had to pry the twins off of the jumpees 3 hours later. 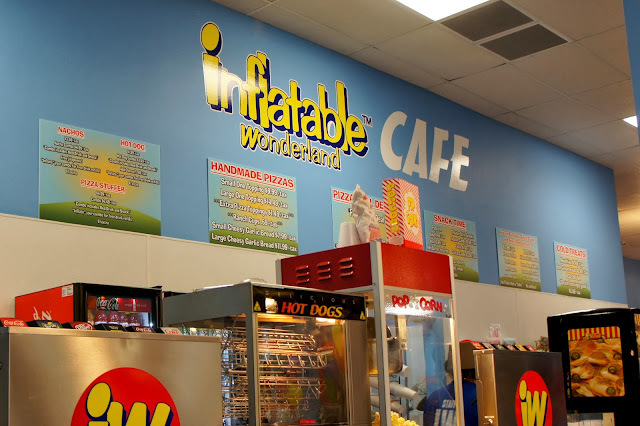 My favorite things about Inflatable Wonderland? Safety and fun are always their first priority! Wristbands are given to adults and children with matching numbers, and children are not allowed to leave without having them checked first. Adults are free with a paid child. Additional adults are only $3. This is also a safety procedure. The inflatables are for children 12 and under. I feel good knowing that the inflatables are only for children, even though I get an urge to hop in! 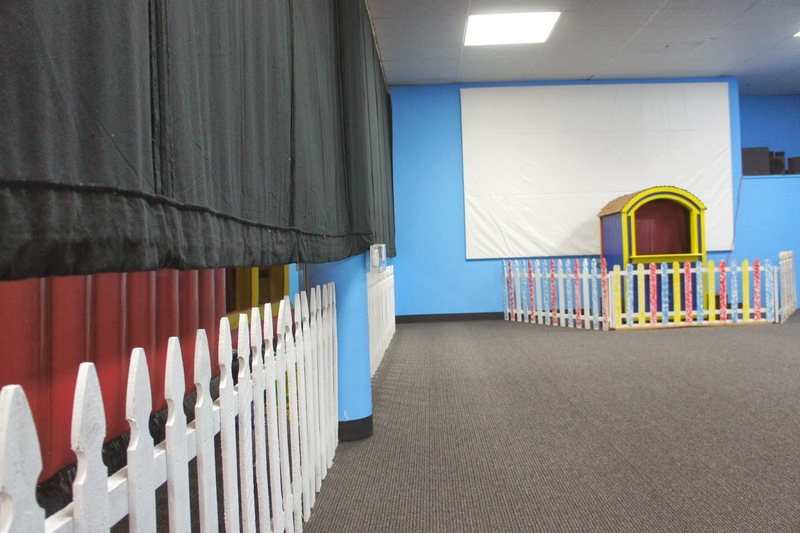 There is a toddler area for children 5 and under. Perfect! 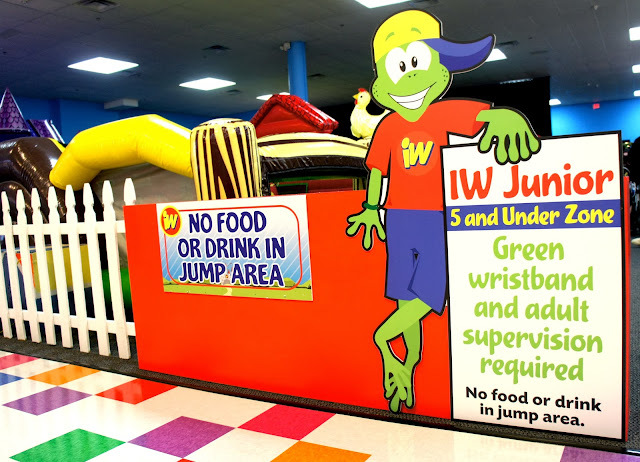 Now when we have a birthday party, our younger cousins can jump without any worry! Other activities such as movies, puppet shows, story times and dancing are going on during the day, giving your children little breaks while they jump and allowing you to get the most bang for your buck! Check their Facebook page for fun events! And lastly, you pay for the entire day. You can leave, shop in the mall, and visit once more before you go. 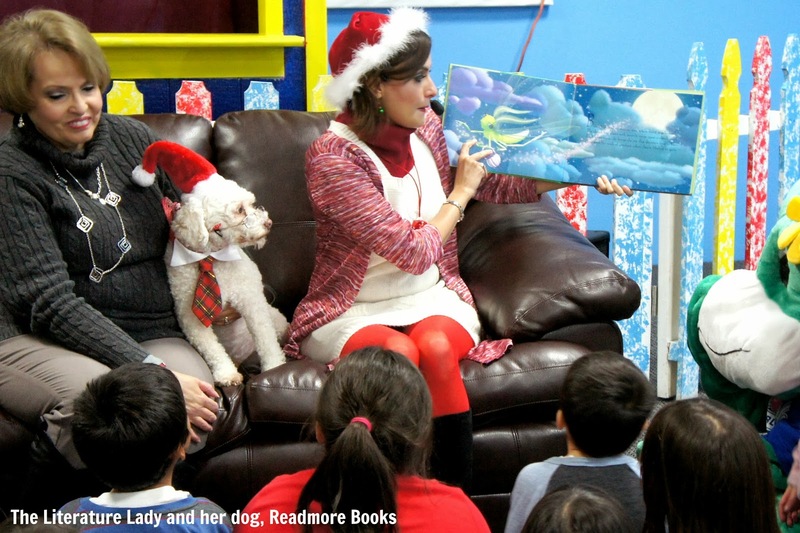 Or even if you have to run across town, visit the other location in Rolling Oaks the same day! And if you've never been to Wonderland of the America's it's worth a visit. It also houses the Bijou, which hosts Free Movie Nights.